Bring a little of the islands into your home with these tropical flowers. 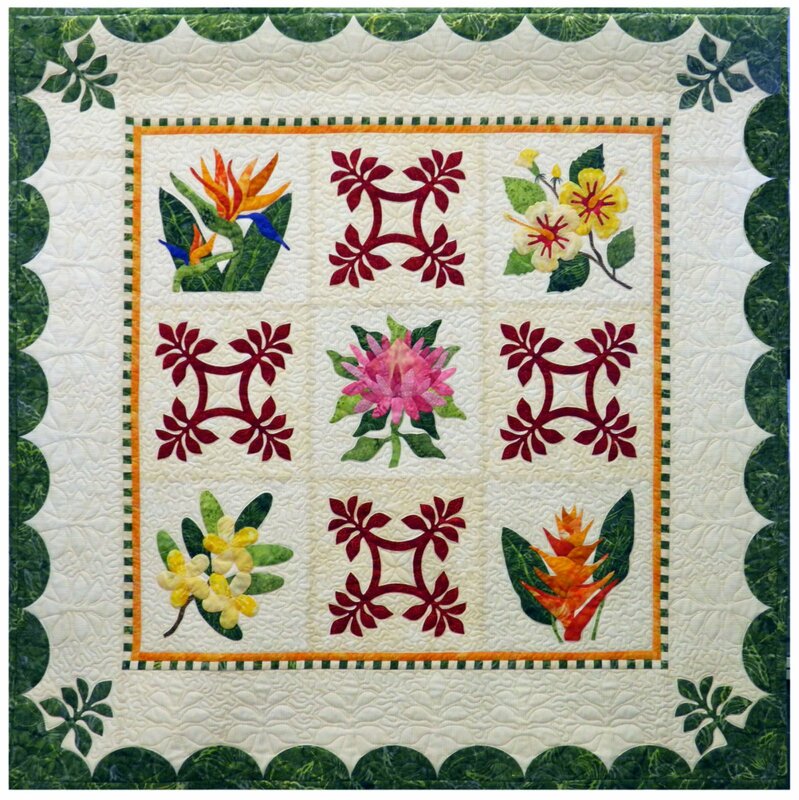 The five flower blocks are set with alternate Hawaiian style leaf block. Easy applique border frames the quilt. Finished block size 10” x 10”. Full size patterns with easy to follow hand appliqué and piecing and directions. Tropical Garden Extra Color Chart Download click Here.